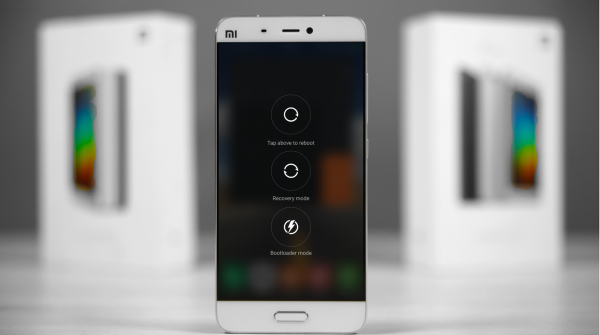 This Mod changes the Reboot-Menu on your Xiaomi MiUI phone. You can select to reboot your phone to either System, Recovery or Bootloader without rooting or installing any other App. Integrated in default MIUI style! Longpress the power button, chose 'reboot' and select where you want to reboot your phone. This mod is updated every week with latest DEV and STABLE versions! Flash it on my Redmi 4 Pro already ! working great ! I really wanted to ROM 8.2.1.0 version of Kenzo. Please sir ... Thanks. Thanks, waiting for the 7.4.13 version. Can we also have the Uninstaller for this? just in case we need it, thanks. Can cause other problems that might occur later .. please allways use the correct version. We will upload 7.4.13/14 when xiaomi.eu has released for all devices. Whats the problem. Tested Mi5 7.4.6 - no problem found. Pardon me, it's work.. great job.. "two thumbnail up"
ne0t wrote: Thanks, waiting for the 7.4.13 version. The reason I want to use this mod is because in several latest Dev ROM for Kenzo, the Reboot to Recovery Mode in Updater App is not working, it simply reboots to system, not to Recovery. And the reason I asked for the uninstaller is to undo this mod just incase with your mod, reboot to recovery still not working. I'm using xiaomi.eu 7.4.13 now on Kenzo.